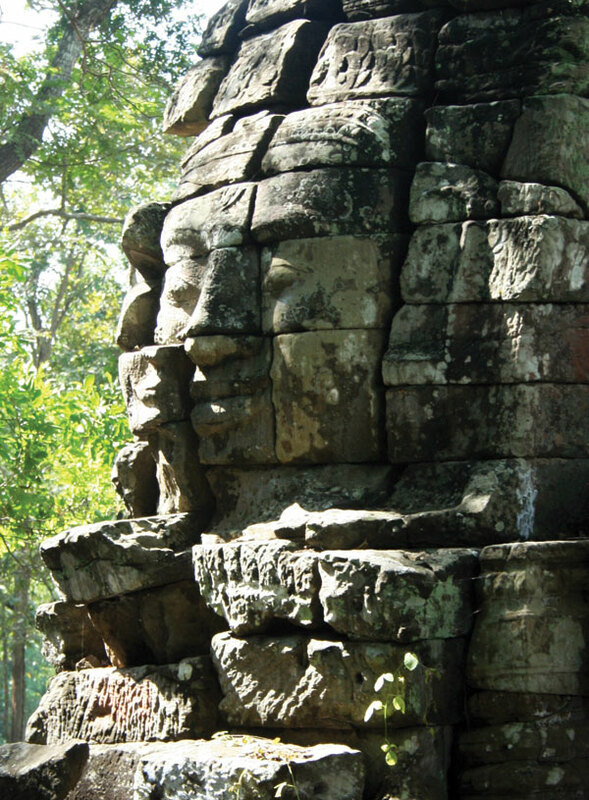 The face towers at Banteay Chhmar are prototypes for those at the Bayon in Angkor. Most of the 12th-century Khmer monuments in Angkor are partial ruins, hidden under dense jungle. Now the Global Heritage Fund, which is promoting its ‘Preservation by Design’, is developing a 3D radar-imaging system to record the unique bas-relief walls and face towers of the Banteay Chhmar Temple in north Cambodia. The bas reliefs are recorded using a sophisticated 3D digital camera with dedicated software. 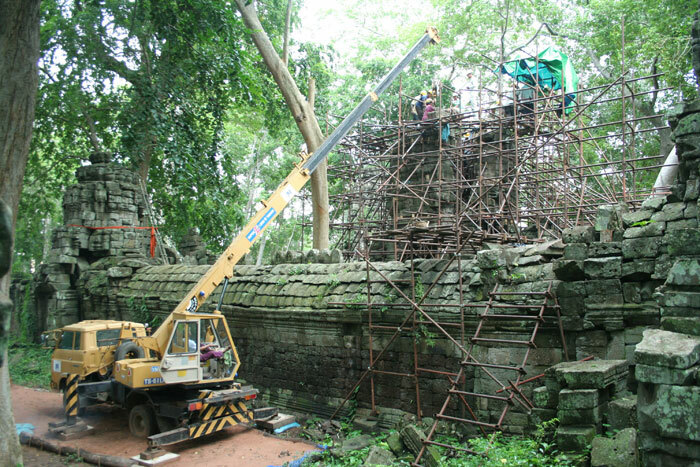 One of the towers, believed to be a proto-type of the BayonFaceTowers at Angkor, has been dismantled after every block – more than 1,000 of them – was scanned as well as measured by hand, and then cleaned, repaired, and systematically stored ready for reconstruction. Now software is being developed that will recognise the shapes, sizes, and surfaces of each stone, and will record their original locations so that they can be virtually re-assembled at the press of a button. Our research – a collaboration between the GHF, the Ministry of Culture and Fine Arts, and the Interdisciplinary Centre for Scientific Computing (IWR), Heidelberg University, Germany – means that, in the future, an enormous amount of time will be saved in processing and re-assembling these stone structures, both virtually and in reality. More importantly, this scanning process will minimise manhandling of each stone and any resulting damage. The fronton of the interior of the face tower 18N, at Banteay Chhmar in Cambodia.